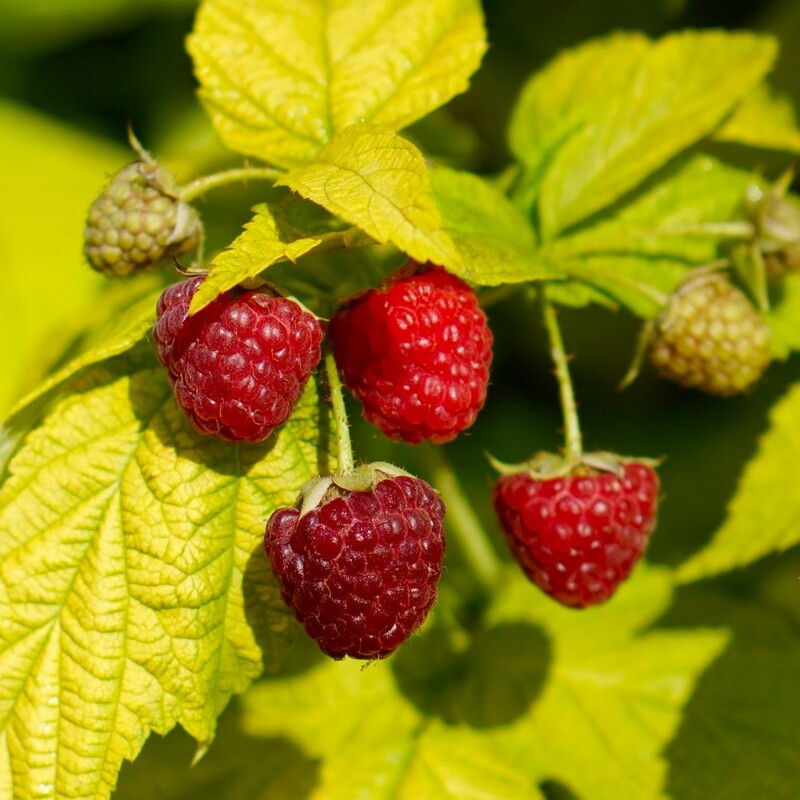 Raspberry Groovy is a fantastic new concept for growing Raspberries (Rubus idaeus) on the patio or in the garden when you have limited space. This means that at last, even those with restricted space can grow this favourite summer fruit - you don't need a veg patch or allotment. Groovy is the next step on from the variety Ruby Beauty thanks to offering a highly ornamental plant with the beautiful golden foliage, as well as a highly productive one. Groovy is a very special compact dwarf raspberry plant variety that produces short canes reaching around a metre tall. This makes them perfect for growing in large patio containers and smaller gardens. Try planting one raspberry plant per 10 litre container or 3 to a larger sized 40 litre pot. With Groovy, you can grow delicious Raspberries where you wouldn't have even imagined in the past, balconies, terraces and patios are all possible. 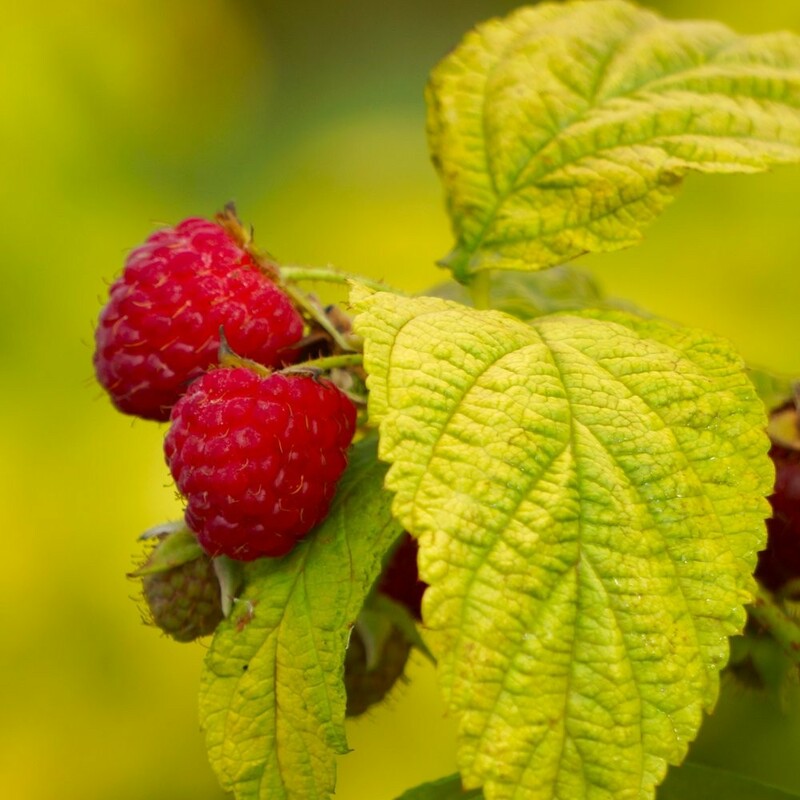 Raspberry 'Groovy' first attracts us all with its striking bright golden yellow foliage, is multi branching with a beautiful compact and bushy habit. It will produce good crops of delicious sweet raspberries, unlikely to all make it in to the picking basket! The stems are relatively thorn free, with the short height of the lants making harvesting very quick and easy too. Fully hardy, it can resist temperatures as low as -35° Celsius! 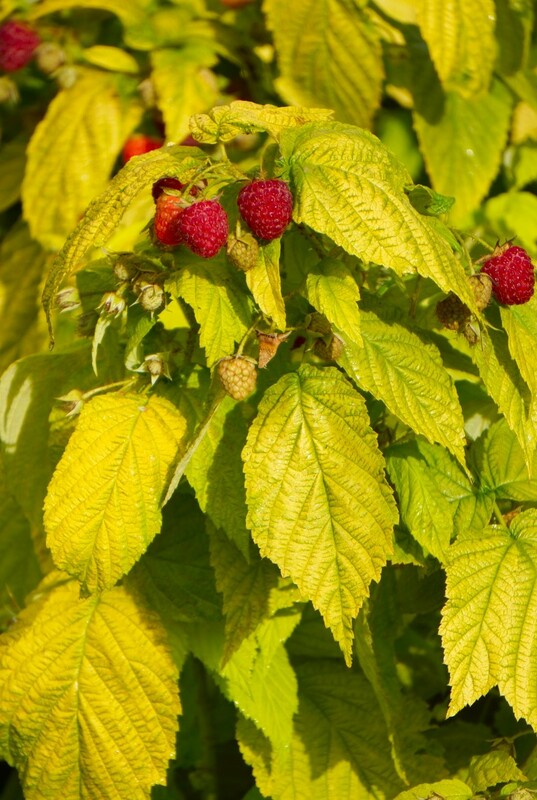 If you've grown raspberries before but had your crop stolen by the birds, these lower growing plants could be the answer as they are very easy to net over should you discover the berries starting to disappear before you've harvested. 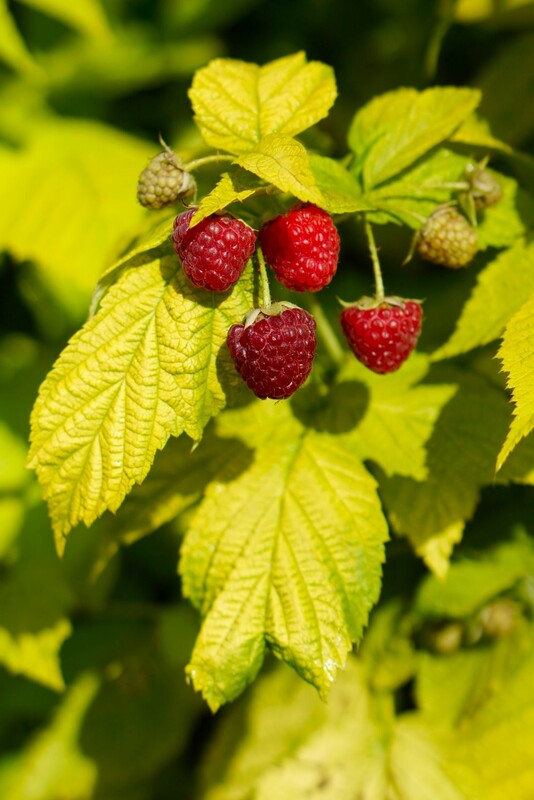 Supplied in 1-2 litre containers, these are low maintenance and easy to grow, providing a stunning colour accent and masses of tasty fruit, isn't it time to try growing your own Groovy Raspberries?